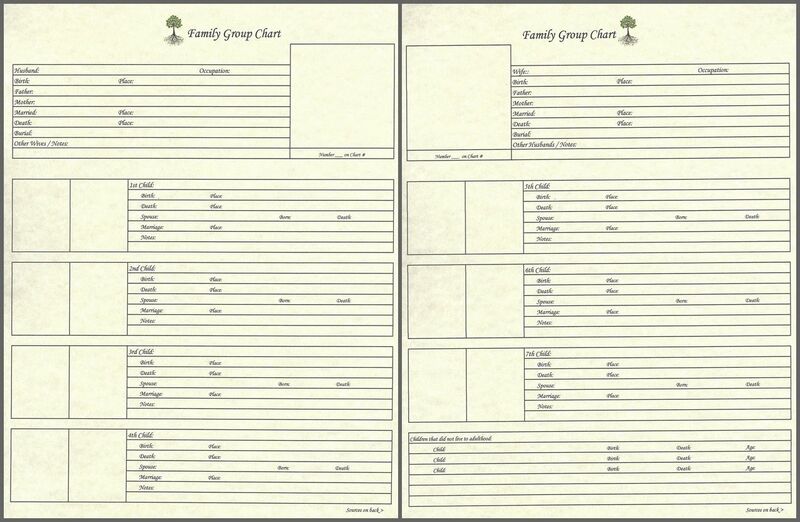 This is a 2-page layout to create a whole family history chart. as well as room for children that did not live into adulthood. This combined chart also gives you room to add photographs for each person in the family.